Tirupati, 7 Feb. 19: In an yet another major tech savvy move, TTD has launched separate web site for Hindu Dharma Prachara Parishad (HDPP). 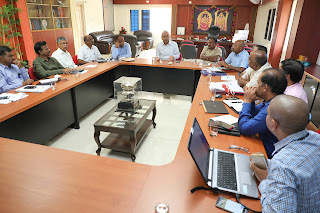 The launching was done by TTD EO Sri Anil Kumar Singhal along with JEOs Sri KS Sreenivasa Raju and Sri P Bhaskar in the former's chambers in TTD administrative building in Tirupati on Thursday. EO said, like in Srivari Seva, this web site would help in the easy enrollment of Dharma Pracharakas, Bhajana Mandali members, enthuse youth. The website also included the annual calendar of events, programmes, festivals and their importance of HDPP. He also instructed the IT experts to develop a mobile app also for HDPP soon. Later, the EO discussed in length on various IT related developments and issues pertaining to various applications including lockers management in Srinivasam, Vishnu Nivasam and Srivari Seva Sadan in Tirumala. He directed the concerned to facilitate the pilgrims and volunteers to book their locker through online. 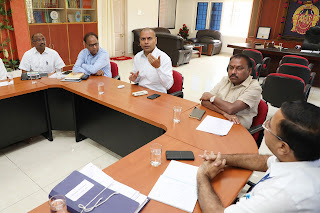 The EO also reviewed on the functioning of Govinda mobile App which was launched last year by TTD. 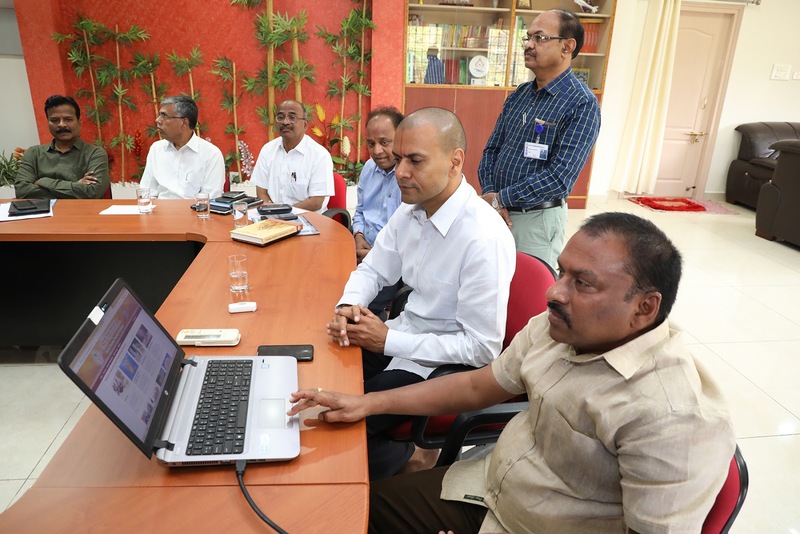 He instructed the TCS team to quickly develop the software to book TTD kalyana mandapams spread across the country apart from AP and TS. CVSO Sri Gopinath Jetti, DLO Sri Venkata Ramana, CE Sri Chandra Sekhar Reddy, FACAO Sri Balaji, HDPP Chief Sri Ramana Prasad, IT Chief Sri Sesha Reddy and other senior officers were also present.